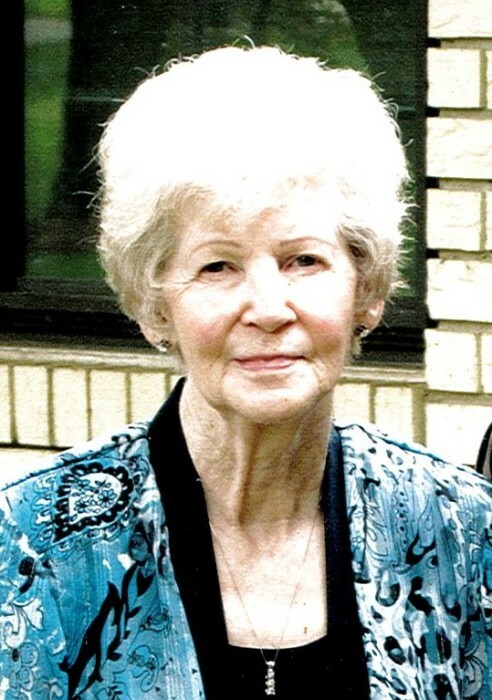 Amie Lee Bookout, 87 of Idabel, passed away February 7, 2019 at Texarkana, Texas. She was born June 12, 1931 at Newhope, Arkansas, the daughter of Tommy and Mary Jones. Amie was very active in her community and involved in several civic organizations. She loved volunteering with the McCurtain County Hospital Ladies Auxiliary. She accumulated 1838 hours of volunteering and received a pin in 2012 for 1800 hours. She was an expert seamstress and could make anything from shirts to skirts, from coats to dressy dresses. Her love for gardening was reflected in the beautiful, tasty vegetables that were harvested. She was a former business owner of the Gemini Coffee Shop and Mode O Day clothing store. The “Bookout Field” located in Idabel was dedicated to her son Roger D. Bookout, who passed away several years ago. Numerous ball players have benefitted from practicing on the field. She is survived by her sons and daughters-in-law, Tommy and Linda Henthorn, Buddy Henthorn, Darrell Bookout, Mark and Becky Bookout; daughters and sons-in-law, Mary J. Pollard, Debra and Johnny Wilson; brother and sister-in-law, Daniel and Becky Jones; grandchildren, Kay Shields (David), John Pollard, Jeff Pollard, Ashley Rodgers, Chandra Henthorn, Jamie Fulsom (Allen), Christopher Hester, Emyli Bryant, Jason Bookout, Dwayne Pigg, Billie Beth Pigg, Kayla Anderson; numerous great-grandchildren, great-great-grandchildren, nieces, nephews, other relatives and friends. Amie was preceded in death by her husband, Bill Bookout; sisters, Nell Webster and Minnie Doan; brother, Jim Jones; sons, Roger Bookout and Phillip Bookout; daughter, Jillbeth Thompson; granddaughter, Olivia Henthorn. A celebration of life service will be held at 11:00 a.m. Saturday, February 16, 2019 at the First United Methodist Church in Idabel with Rev. Mark W. Polson officiating. Interment will follow in the Denison Cemetery. The family will receive friends from 6:00 to 8:00 p.m. Friday, February 15, 2019 at the Clardy Funeral Service Chapel.